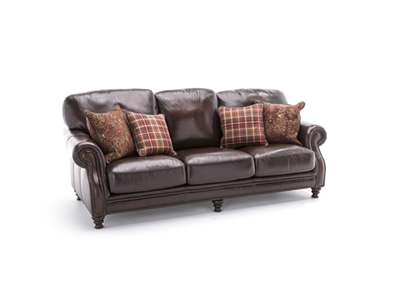 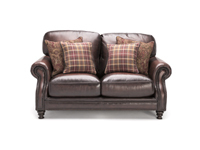 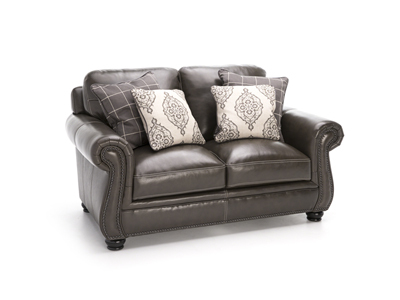 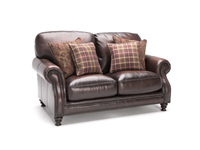 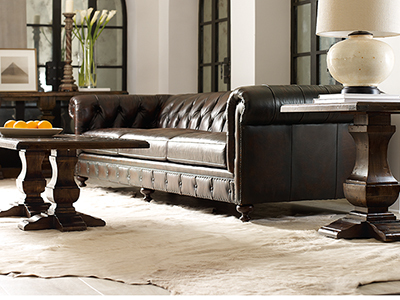 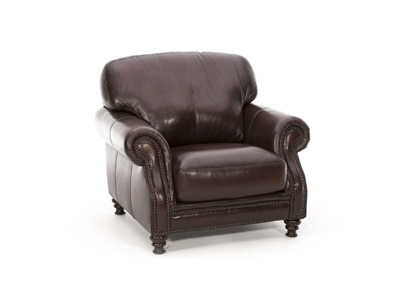 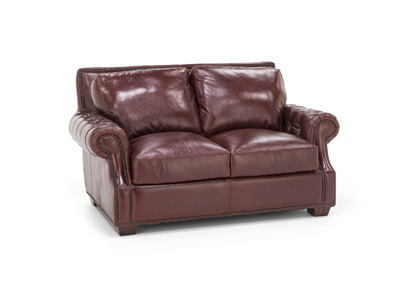 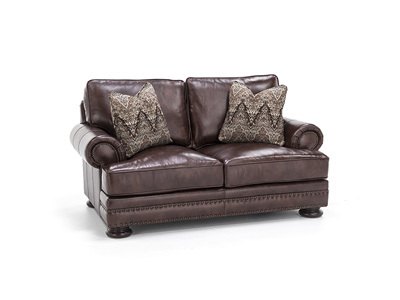 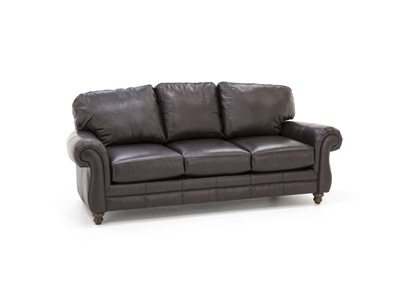 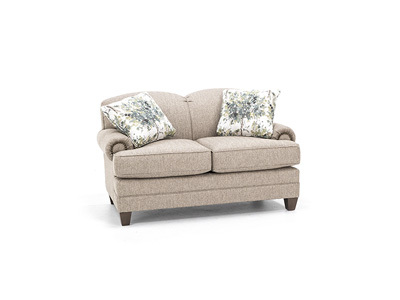 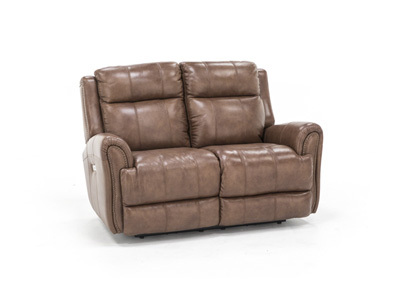 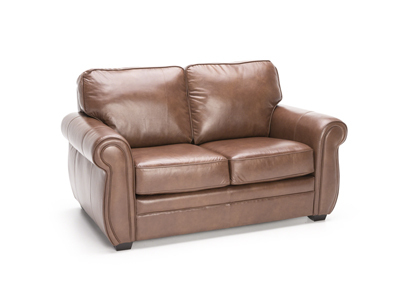 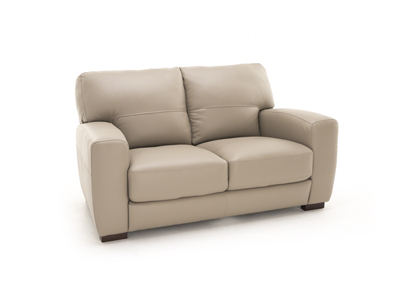 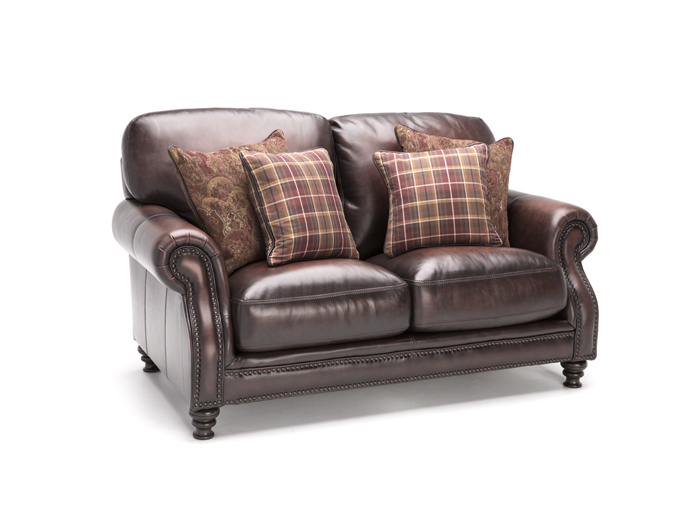 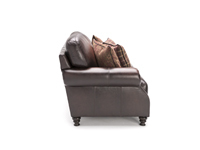 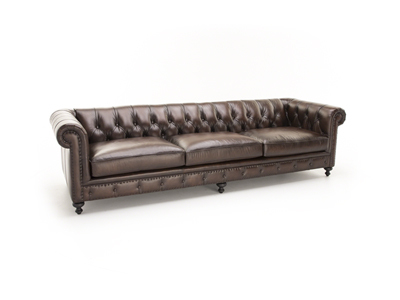 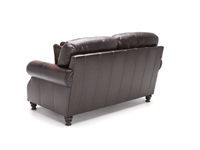 The Hillsboro leather loveseat brings stately style to your living room. 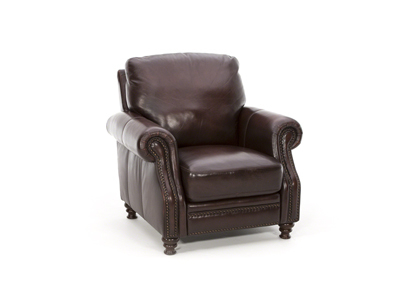 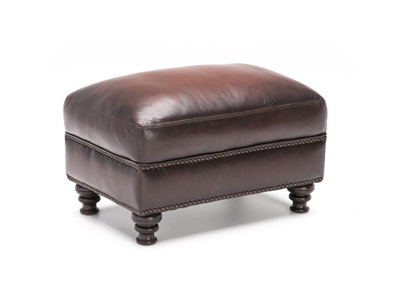 Deep cinnamon-finish leather is accented by individually applied nailhead trim and turned legs. 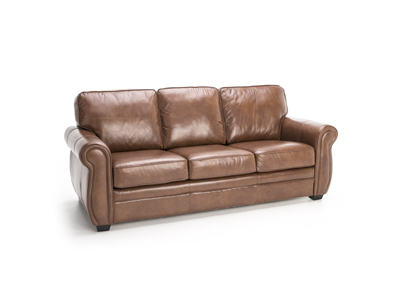 But below the thick yet soft hand-wiped, rustic-look leather is a durable wood frame that's generously padded before being upholstered. 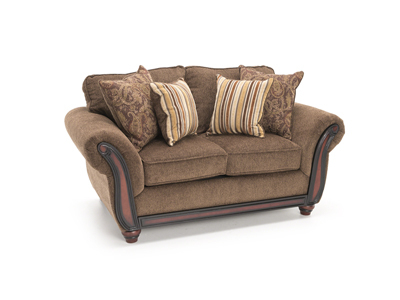 You'll also really love the padded back cushions and thick, padded seats. 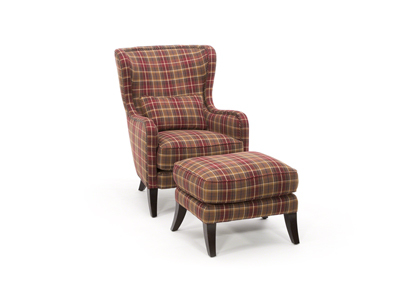 Plus, you'll get four 26" accent pillows in fashion-forward fabrics, two of which also match the plaid wing chair and ottoman set.